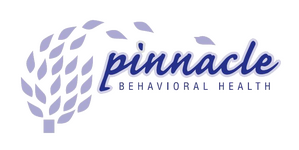 At Pinnacle, we host a wide variety of groups weekly in order to serve our clients in a larger setting. 6:00pm Suboxone Group - Mitchell Fishler LCSW-R and Rocco Pezzulo B.S. 6:00pm Men's Group - Mitchell Fishler, LCSW and Rocco Pezzulo, B.S. 10:00am Transforming Anxiety with Empowerment - Jamie Coscia, LCSW and Rocco Pezzulo, B.S.